SKF has appointed Stephane Le-Mounier as president of SKF Automotive. 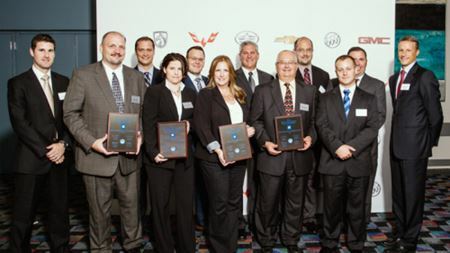 GKN Sinter Metals North America has been recognised with four Supplier Quality Excellence awards from General Motors (GM). GKN Powder Metallurgy has expanded its production facilities in Danyang and Yizheng, China. SKF has reported nine month 2014 sales of SEK 52,476 million, up from SEK47,167 million in 2013. SKF says that it plans to invest around SEK 220 million in a new factory at its existing campus in Cajamar, Brazil. Arcam says that the quality management system of its subsidiary Advanced Powders and Coatings Inc (AP&C) is now AS9100 certified. Höganäs AB has launched a new range of drive systems with German battery experts VARTA Microbattery GmbH.